This article comments on a brochure (also posted on his website) recently sent out by Dr Hugh Ross of Reasons to Believe, giving his own perspective on the differences between ‘young-earth’ or ‘calendar-day’ creationists like us, and ‘old-earth’ or ‘day-age’ creationists like himself. Since it’s his own perspective, he cannot accuse us of putting words in his mouth. However, as shown, there are many of the same misrepresentations as in his other works. Dr Ross’s comments are in indented, i.e. the lines headed by cdc are what Ross claims we believe, not necessarily what we actually believe. 1.	cdc: Natural biological evolution works, producing new species and genera within orders and families. This is misleading, since we would not call it ‘biological evolution’ because no new information is produced. However, that new species arise is indisputable—Ross seems not to understand that producing a new reproductively isolated population is by definition a new species. Also, there is no Biblical or scientific reason why the created kinds cannot sometimes have enough built-in genetic variation so they can give rise to varieties within the genus or family (a man-made classification after all). This is explained further in this section of my analysis of the Ross–Hovind debate. 1.	dac: Natural biological evolution fails at all levels except for those species numbering more than about one quadrillion individuals with generation times less than three months and body sizes smaller than one centimeter. This is an amazing statement—one wonders what this astronomer’s source of such biological nonsense could be. This fixity of species view goes well beyond the Biblical text and is disproved by operational science—see Q&A Speciation. 2.	cdc: Laws of physics were radically different before Adam’s sin. 2.	dac: Laws of physics were identical before and after Adams’ sin. One wonders what difference Ross thinks the Fall made. However, with the exception that God withdrew some of His sustaining power, we believe that the laws of gravity, thermodynamics, electromagnetism, etc. were operative from creation. I’m on record denying that the second law of thermodynamics began at the Fall. 3.	cdc: Redeemed humanity will be restored to paradise. 3.	dac: Redeemed humanity will be delivered from paradise to a brand new creation. This is misleading. We are on record as affirming that there will be ‘a new heaven and a new earth’ (Revelation 21:1), and even now, believers in Christ are new creations (2 Corinthians 5:17). We also affirm that the new creation will be even grander than the original paradise, because there will no longer be even the possibility of sin. However, we point out that many references to the Consummation parallel the pre-Fall world, so this is meant to be a hint of what the Consummation will be like, e.g. vegetarian lions and wolves (Isaiah 11:6–9, 65:25), light without the sun like the first three days of Creation (Revelation 22:5) and a Tree of Life (Genesis 2:9, 3:22,24cf.Revelation 2:7, 22:2,14,19). A more accurate way of expressing our difference is that Ross denies a pre-Fall deathless paradise altogether! This is shown by his last point of difference below. Of course. It’s not only us who believe this, but God Himself spoke the Fourth Commandment, giving the reason that He created in six days and rested on the 7th (Exodus 20:8–11). 4.	dac: It is critical to carefully integrate all ten of the major creation accounts in the Bible. What is Ross talking about? The Bible never contradicts itself, and there is nothing to naysay the plain teaching of Genesis 1 and Exodus 20:8–11 elsewhere in the Bible. 5.	cdc: The universe and the stars are eternal. 5.	dac: The universe and the stars are temporal. Where do we say that the universe or stars are eternal? This statement is without foundation and is highly misleading. 6.	cdc: Astronomers are deceiving the public. 6.	dac: Astronomers are telling us the truth. Which astronomers? Dr Danny Faulkner, who believes in cdc? And we normally point out that secular astronomers are not necessarily consciously deceiving the public, but are looking at the same data as us, only through the wrong ‘glasses’. Our position is well stated in Faith and facts for the creation/evolution controversy in general, and in The earth: how old does it look? for age issues in particular. 7.	cdc: The heavens merely reveal the existence of God. 7.	dac: The heavens also reveal God’s transcendent qualities and many of His personal attributes. It’s hard to know what Ross is thinking here. We often quote Romans 1:20. However, what we deny is that creation reveals enough for salvation, and we also deny that the interpretations by fallible humans of the creation should override the propositional revelation of Scripture. See Dr Faulkner’s discussion on General and special revelation. 8.	cdc: There is only one literal interpretation of Genesis 1. 8.	dac: There are several literal interpretations of Genesis 1. Only if there are several literal interpretations of the word ‘literal’! The literal meaning of ‘literal’ is: ‘Taking words in their usual or primary sense and applying the ordinary rules of grammar, without mysticism, allegory or metaphor.’ The usual and primary meaning of ‘day’ is a single period of Earth’s rotation, and this is unambiguous when accompanied by a number, evening, and/or morning. 9.	cdc: Genesis 1 cannot be reconciled with the established record of nature. 9.	dac: Genesis 1 can be reconciled with the established record of nature. Our claim is that plants are never called nephesh chayyāh (transliteration of the Hebrew נֶפֶשׁ חַיָּה in Genesis), meaning that their life and death is qualitatively different. This is shown by the vegetarianism of both humans and animals in both the pre-Fall world (Genesis 1:29–30) and in the Restored state (Isaiah 11:6–9, 65:25). Tell that to the animals with their flesh torn apart and ravaged with disease, i.e. that it’s still a ‘very good’ creation, rather than a sin-cursed world. … and in no way impinges upon the doctrine of blood atonement for human sin. The Bible does attribute the properties of life and death to both the plants and the lower animals. Wrong, as above. See The god of an old earth, which shows that any billions-of-years compromise entails that death and suffering were always part of God’s creation, and how this is inconsistent with the Bible. I would agree with all 10, however I doubt that we understand them the same way as Ross. 1. The Bible must be taken literally unless the context indicates otherwise. Agree with the sentiment. I prefer to say ‘plainly’, which incorporates a literal interpretation of a literal context, poetic interpretation of poetic context. Ross would probably have no objection to that, and ‘literal’ is an acceptable way of saying this, but using 'plainly' should hopefully avoid caricatures by theistic evolutionists. The problem is that Ross has a strange understanding of the word ‘literal’ as shown above. 2. The Bible is inerrant in all disciplines of scholarship. Definitely. However, while I have no doubt that Ross publicly and sincerely defends the Bible against any error, in practice Ross imposes secular ‘disciplines of scholarship’ over the Bible. The main differences are much the same as one key issue of the Reformation—Sola Scripture = Scripture alone. That is, the supreme authority, perspicuity and sufficiency of Scripture. But Ross claims: ‘God’s revelation is not limited exclusively to God’s words. The facts of nature may be likened to a sixty-seventh book of the Bible’ (Creation and Time, p. 56). These words alone show that Ross in effect teaches Scriptura et scientia = Scripture and science. In practice, Ross reinterprets Scripture in an unnatural way to fit in with the alleged ‘facts of nature’ (really uniformitarian interpretations of nature), which is Scriptura sub scientia = Scripture below science. 3. The universe was both transcendentally and supernaturally created. Yes. 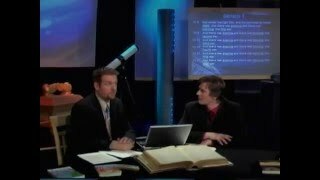 Alas, Ross believes that God used the alleged big bang, an essentially atheistic notion by which most of its proponents assert the universe created itself. 4. Naturalism cannot explain the origin of life. Yes. See Q&A: Origin of Life. 5. Naturalism cannot entirely explain the history of life, nor can theistic evolution. 6. Naturalism cannot entirely explain the geophysical history of the earth. However, Ross concedes much ground to naturalism, because he fails to allow for the devastating global Flood of Noah’s day, responsible for many of the rock layers and fossils. 7. Naturalism cannot explain entirely the astrophysical history of the universe and solar system. True, but Ross again gives a lot of ground to naturalism, essentially agreeing with the naturalistic ‘big bang’ and history of stellar evolution over billions of years. 8. Genesis 1 is both factual and chronological in its context. It describes God’s ‘very good’ creation in the space of six days. Agree with the words, but as shown above, Ross doesn’t think that they mean what they say! Ross’s creation, pre-Fall is anything but ‘very good’. It has the horrors of death, struggle, suffering, disease and carnivory that we see in today’s world. 9. Adam and Eve were a literal couple created by God just thousands of years ago. Yes, we agree that Adam was created out of dust, and Eve from Adam, with no animal ancestry. But by ‘just thousands’, we mean six thousand, as per a straightforward reading of the chronologies of Genesis 5 and 11; Ross believes it was many times as long ago, which entails inserting huge gaps in the chronologies of which there is not the slightest biblical evidence. 10. All human beings owe their descent to Adam and Eve. Agree, but we would regard those specimens classified as Neandertals and Homo erectus in that category, while Ross regards them as soulless hominids. Once again, Ross has made misleading accusations against creationist organizations like us an attempt to justify his own compromise position. However, we have shown in many places, he has frequently misrepresented what we believe, and that his arguments do not hold up against Scripture. It is important not to be sidetracked by Ross’s appeal to ‘scientific consensus’, but always to stand on the authoritative Word of God, i.e. letting it teach us, rather than imposing outside ideas upon the text. Did God inscribe the Creation Week in stone?